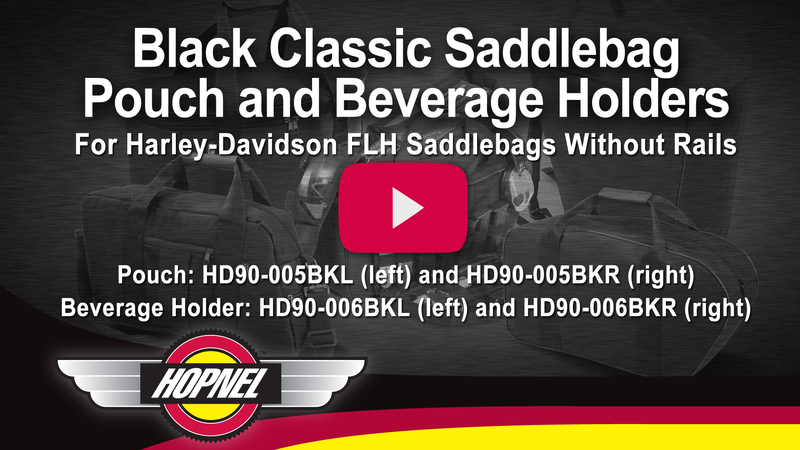 Rice Lake, WI – Hopnel™ sewn products has added the Black Classic Series for FLH models without Saddlebag Rails. These latest pouches mount to the bottom and inside lip of the saddlebag with special high strength hook and loop fasteners, making installation easy and sightless. They come as either a left or right side mount offered with either a Beverage Holder or Storage Pouch. The generous 6” x 5 ½” x 2” EZ Mount™ storage pouch puts convenience at your fingertips. The matching EZ Mount™ Bottle Holder comes with a 28 oz thermos to fit its 6 ½” x 3” x 5” pocket and can hold up to a 3” diameter bottle. The Black Classic left or right Saddlebag Mounts can also be purchased with the Bottle Holder and 28 oz thermos separately. 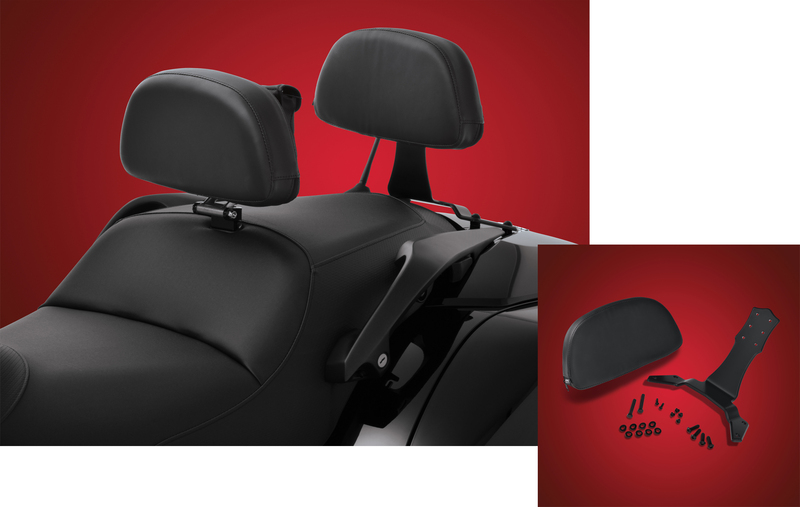 Rice Lake, WI – The Honda F6B Passenger Smart Mount™ Backrest now joins the family of backrests from Big Bike Parts®, with its own custom engineered passenger backrest system that compliments the driver Smart Mount™ Backrest. The generous 12-3/8” x 7” full support pad provides superior comfort and support and can be adjusted by 2-1/2” vertically with our exclusive & stylish passenger backrest mounting bracket. 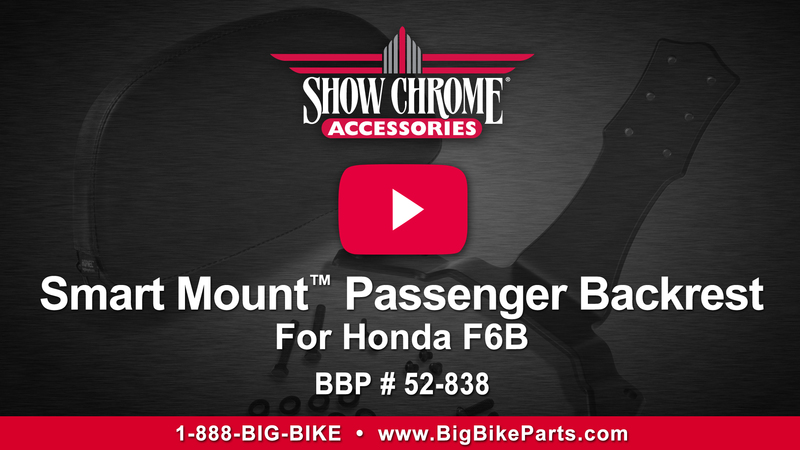 Comes with all necessary hardware for attaching backrest to our 52-830M Rack Mount Kit or use the OEM mounting bracket (both sold separately). 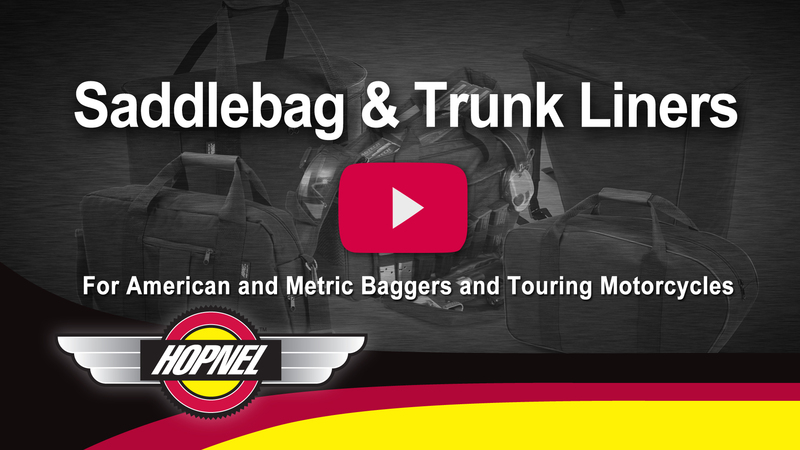 Rice Lake, WI – Hopnel™ has been the market leader close to 25 years, in creating motorcycle storage accessories. Often being the first to introduce new and innovative solutions for providing on-bike storage with their sewn pouches and bags. This could not be further from the truth than in looking at their leading Saddlebag Liners, the original King Kooler™ Liners and the latest Range Saddlebag Liner. 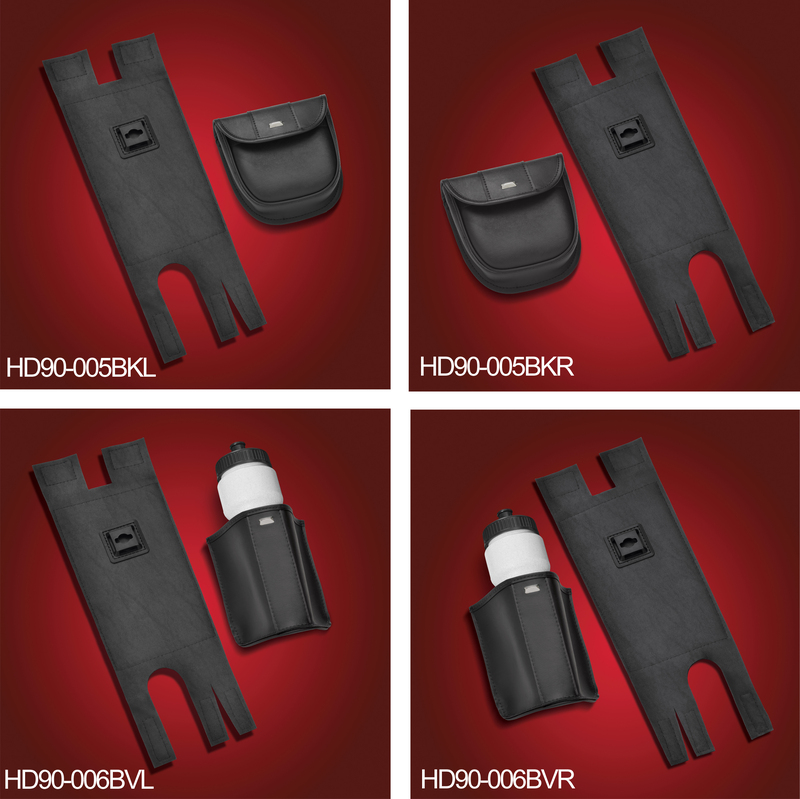 Built to last, Hopnel™ Saddlebag Liners are designed to make loading and unloading your motorcycle a breeze. The durability comes from using custom made urethane coated weather resistant polyester to provide the best in wear and protection for your packed belongings. The King Kooler™ insulated waterproof saddlebag liner was the first in excellent beverage traveling convenience. The interior is made from a single piece of waterproof material allowing this King Kooler™ to keep your goods cold and saddlebags dry. 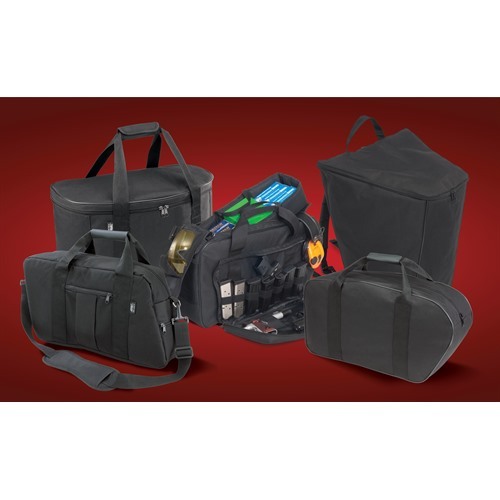 Their new Hopnel™ Range Saddlebag is another market first, designed to carry your firearms in an all-inclusive range bag to hold your firearms for a trip to the shooting range. 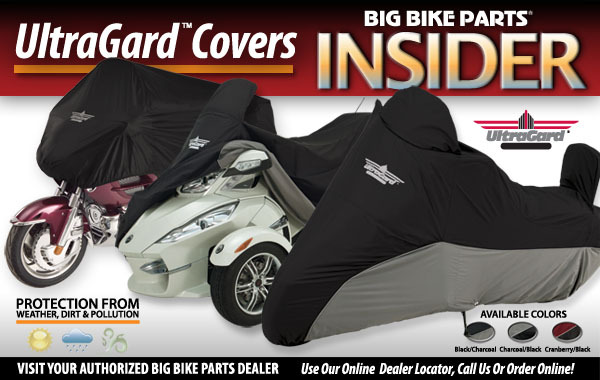 Visit your nearest Big Bike Parts® dealer to get yours today or visit www.bigbikeparts.com to find your nearest dealer. 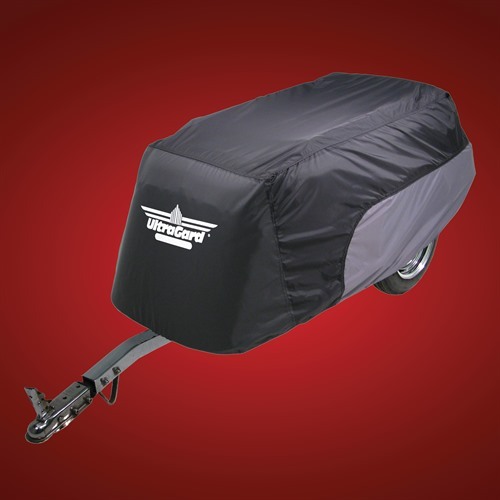 Liners are available in multiple sizes to fit most saddlebags and trunks. Rice Lake, WI – Get more clearance under your luggage racks allowing for easy cleaning or to getting other accessories to fit below. 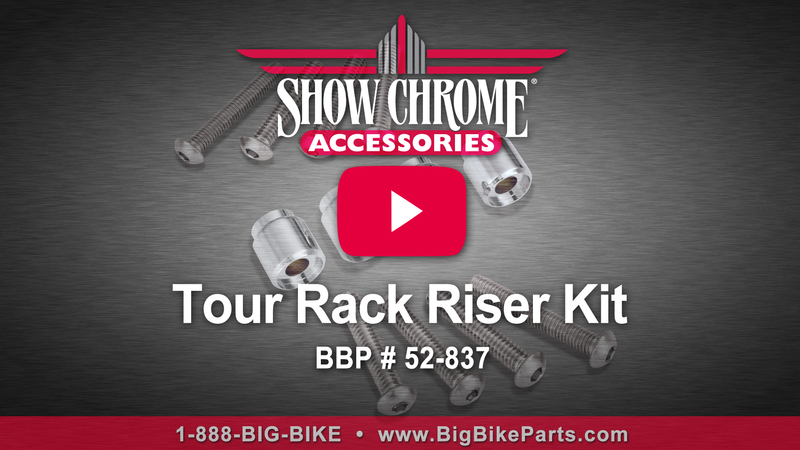 Big Bike Parts® has the perfect solution with their new Tour Rack Risers. These Rack Risers universally fit ½” diameter tubes with a custom recessed bevel to securely fit and enhance your original rack legs. They extend rack legs 5/8” and fit racks with ½” round legs. 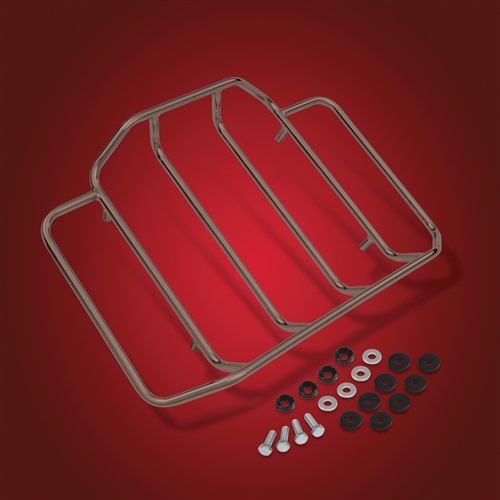 Comes as a complete set of 4 Rack Risers with two sets of bolts, 4 x 6 mm (M6) bolts and 4 x ¼-20 bolts, to replace the shorter bolts that come with most racks. 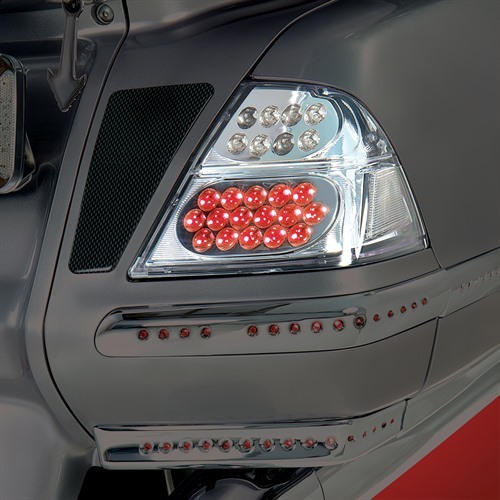 For best fit place risers between the rack leg and the angled feet that come with Show Chrome Accessories® racks. For Large Saddlebags. Goldwing, etc. * Hurry, offers are good only until October 31, 2014. Limited to current inventory.